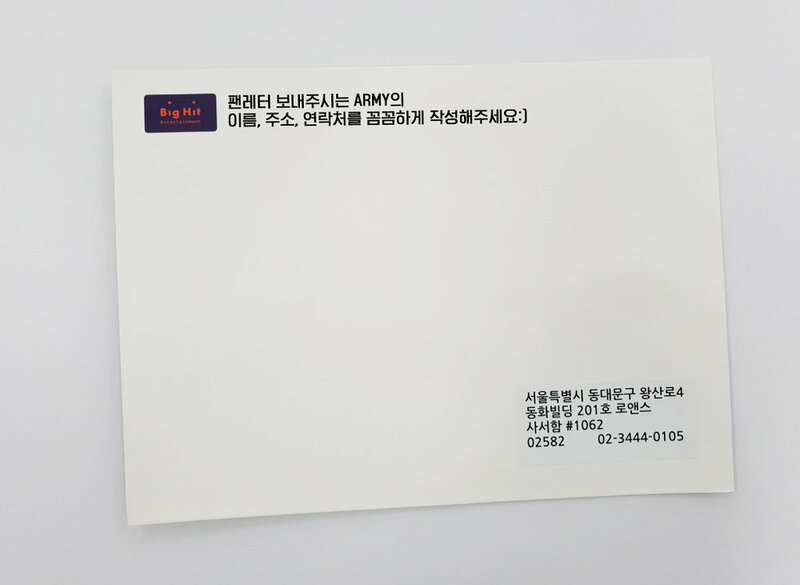 After careful consideration and thorough discussion, BigHit Entertainment and BTS have decided to NOT receive any more gifts (delivery service & support) as of March 30, 2018.
Letters will continue to be accepted and delivered to the boys. Please read the following rules carefully before sending your letter. 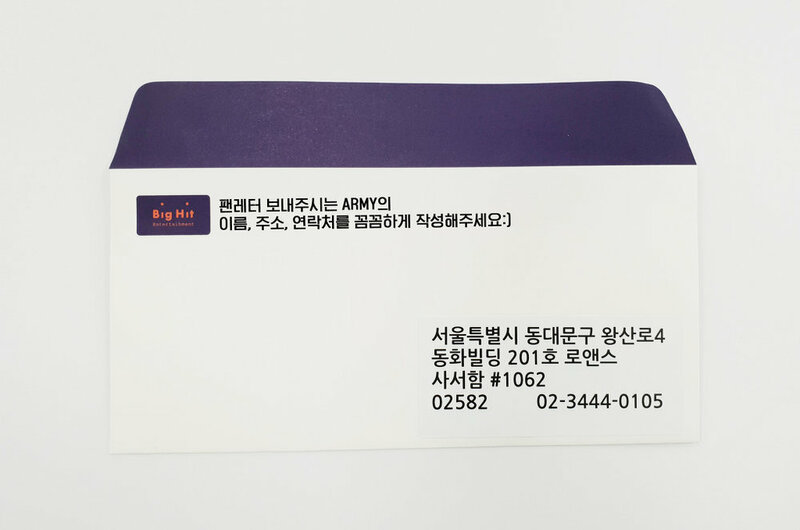 > Only standard sized envelope (or ordinary envelope for letters) made out of paper can be delivered. See images below for examples. > If you send it in a form other than an envelope, it could be considered as a package and might be returned. ex) message booK / notebook / CD / USB / small package type of fan letters cannot be delivered. * Please note that the address above is provided for mailing fan letters, please do not visit the P.O BOX company. ** The company is a place where BigHit Entertainment employees work. Therefore, fan visits are strictly forbidden. *** If you visit the company and leave unauthorized gift(s), it will be discarded immediately. **** Please note that any letters that have been sent to another address other than the given address will be sent back or be discarded due to hardship on mailing status and won't be able to be sent to the artist.